Nothing brings the Dungeons and Dragons™ world to life more than the creatures that inhabit it – and playing with painted miniatures, representing your mighty heroes or foul monster encounters, makes the adventure coming to life in front of you. 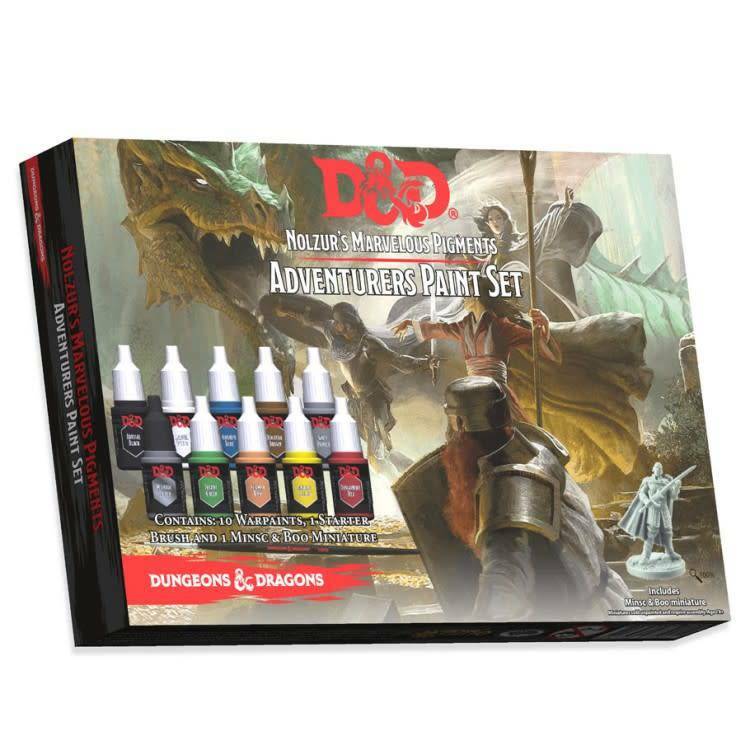 This official D&D™ set of Marvelous Pigments will offer you a perfect starting palette of the basic “must-have” colours to paint your player characters. The set also comes with a free, pre-assembled Minsc & Boo miniature to get you started. The Army Painter Warpaints are a high quality acrylic paint range specifically designed for painting highly detailed miniatures. The paint has a creamy consistency and is extremely rich in pigment. It´s 100% non-toxic and always delivers a perfect matte finish. The colour palette in this set has been carefully selected to represent the many heroes and villains in the Dungeons & Dragons™ universe.